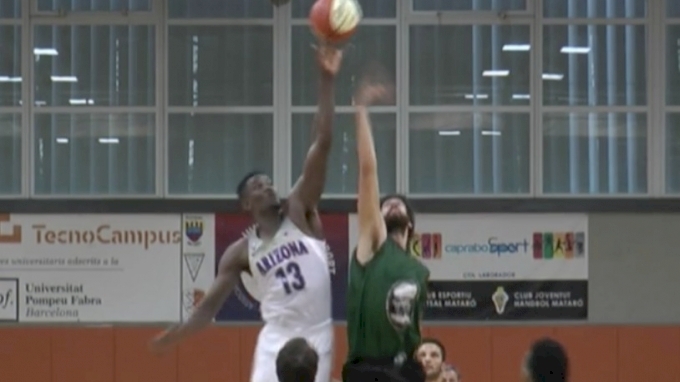 It wasn’t the proverbial cakewalk like their opener in Spain, but the Arizona Wildcats were still dominant and took control of the Mataro All-Stars to cruise to a 99-74 win on August 16 in Barcelona. Don’t miss the Wildcats’ third and final game of their Spain tour on August 18 at 10:10 AM MST live on FloHoops. Streaming: Available only on FloHoops. A yearly FloPRO subscription provides access to all FloSports sites. SIGN UP HERE. FloHoops' best content, delivered to your inbox! Don't miss breaking news, feature stories, event updates, and more. Sign up for the FloHoops mailing list today. Are You Ready To Bear Down With The Arizona Wildcats In Spain?